This is the perfect time to update your headshot. $150 gets you a 20-minute photo shoot, a CD of your best images, and a copyright release that will allow you to have them printed anywhere you choose. This package would normally be $375. PLUS, Creative Images Boston will donate $25 to the Theatre Company of Saugus for each paid session! Sign up for your session today! 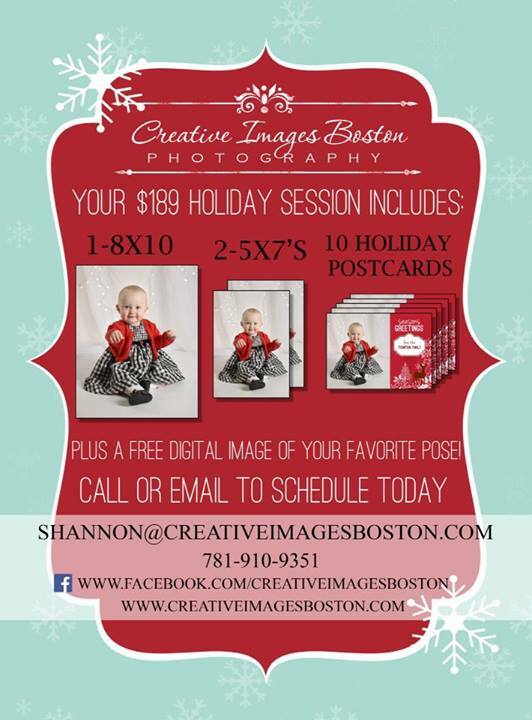 Sessions will be at the Creative Images Boston studio on three Sundays, December 8, 15, 22, 2013. Contact them to make an appointment, and be sure to say you are doing the TCS headshot deal. Here is a great deal. If you have a holiday photo session with Creative Images Boston and you mention Theatre Company of Saugus (TCS), they will donate $25 to us. A great price and opportunity.